The Hawk Performance Nissan GT-R backed by CRP Racing, finished in 10th spot in the first race of the year on Saturday, with Tim Bell at the wheel. This was Tim Bell's first race in the Nissan GT-R, finishing between a pair of Mercedes Benz SLS GT3 cars. Full Results from Race 1. 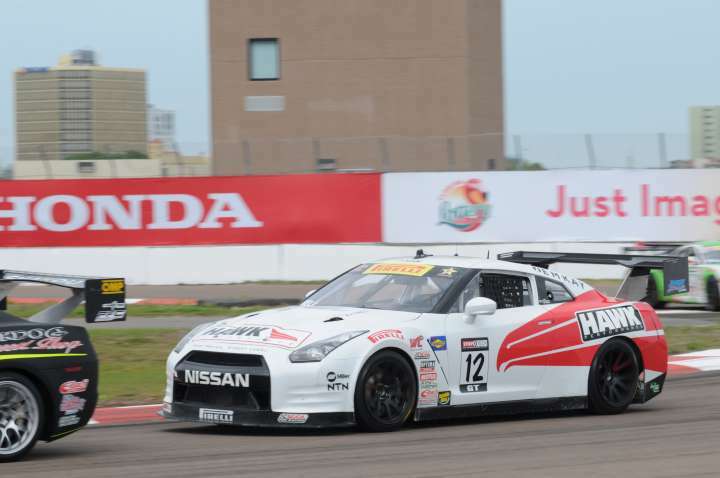 In race 2 on Sunday, the GT-R had a power steering failure, and finished in 14th place. Full Results from Race 2. After St. Petersburg, the World Challenge GT cars head to Long Beach on April 19th-21st, back to back street courses. Always a tough way to start a year.